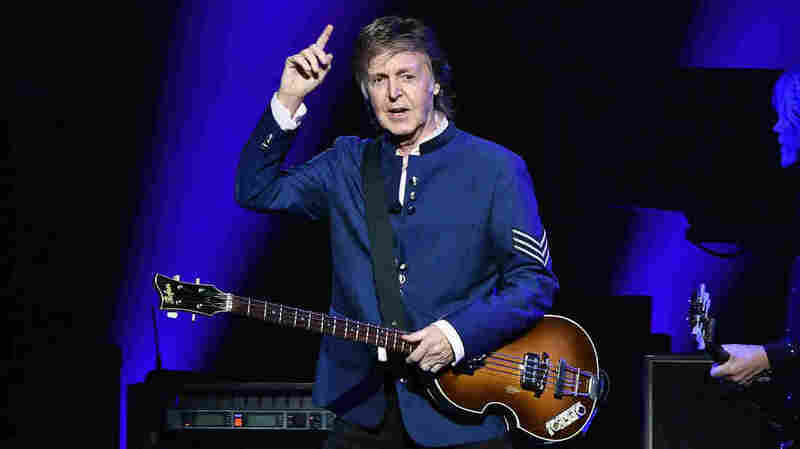 Paul McCartney Scores First U.S. No. 1 Debut Ever With 'Egypt Station' McCartney's 18th solo album has officially reached the top spot on the Billboard 200, marking The Beatles bassist's first solo No. 1 album in the U.S. in 36 years. Paul McCartney's 18th solo album Egypt Station debuts at No. 1 on the Billboard 200. It might sound hard to believe, but being a Beatle doesn't necessarily assure chart-topping success — but never underestimate the pull of Paul McCartney. The iconic pop star's 18th solo album, Egypt Station, has debuted in the top spot on the Billboard 200, marking the singer's first No. 1 album in the U.S. in 36 years and his first No. 1 debut — McCartney's last appearance in the No. 1 spot in the U.S. was in 1982, for his fourth studio album Tug of War, according to Billboard. McCartney's 1984 album, Give My Regards to Broad Street, which served as the soundtrack to the film of the same name (in which McCartney also starred), and his 1989 album, Flowers in the Dirt, both went to No. 1 in the U.K., but only reached No. 21 on the Billboard 200. Egypt Station was released Sept. 7 via MPL/Capitol Records and, thanks to an enduring fan base and some prolonged, tactical promotion on McCartney's part — the 76-year-old participated in a celebrated episode of Carpool Karaoke in June and held a not-so-secret show in New York City's Grand Central Station on the album's release day — Billboard reports the record moved 153,000 units between Sept. 7 and 13. Egypt Station runs 16 tracks and, as McCartney stated back in June, is a journey to different parts of his emotional state, each song serving as a different station stop on the trip. NPR's Ann Powers commented that the playful record highlights McCartney's wisdom and and "overall mood of joy in the moment, joy in the studio, joy in making music."